The eThekwini Metropolitan Municipality is located on the east coast of South Africa in the Province of KwaZulu-Natal. The municipality spans an area of approximately 2555km2 and is home to some 3.7 million people. Given its high variability, extent, population size and mix of social and economic land uses, the eThekwini municipality can also be classified as one of the four city regions that plays an important role in contributing to the economy of the city, region and South Africa as a whole. EThekwini ranks as the second largest economic centre with the second most significant industrial region in South Africa. The municipality is home to Africa's busiest port, Durban Port, Dube TradePort - a multimodal logistics platform and King Shaka International Airport. These facilities provide vital links between the regional economies of Pietermaritzburg (and onward to Gauteng) and Richards Bay. The Metro is a substantial administrative centre, providing key public services within the eThekwini area as well as to the wider region. During the past six years, the municipality has experienced good progress towards ensuring good governance. There is a realisation that being responsive to local conditions and demands is at the core of creating effective and accountable governance that can enable the municipality to change the socio-economic conditions of its citizens. Reducing the increasing gap between rich and poor and identifying sustainable livelihoods and economic opportunities that will act as catalysts for economic growth, job creation and ultimately, greater sustainability and urban resilience is essential. Consequently, the municipality has implemented a number of programmes to enable it to listen to what people on the ground want and ensure that policies respond to the needs of its citizens. residents through rates rebates and the provision of free basic services. EThekwini intends to have a world-class transport system with a public transport focus, providing high levels of mobility and accessibility for the movement of people and goods in a safe, sustainable and affordable manner. The strategy focuses on reducing overall demand for road space while maximising the effective utilisation and efficient operation of road infrastructure for purposes of private and public transport use. It also places an emphasis on strategies which support and use of public transport. Consequently, 2018 marks a significant milestone for the City as the eThekwini Municipality prepares for the much-anticipated start of service of the first route of the GO!Durban integrated public transport network from Pinetown's CBD to KwaMashu's Bridge City. Areas and precincts along the route have begun to attract investors and interest in developments, as the transport network now has the potential to attract critical mass to stimulate economic growth. The city has identified a number of other catalytic projects in key areas within the integration zones to look at creative ways of utilising limited resources to stimulate the economy. The provision of support to facilitate investment into these key catalytic projects is a major drive. This relates to support for the development of the Cornubia mixed use project, support to further development of Dube TradePort (DTP) and the Aerotropolis, facilitating of the phased provision of bulk infrastructure to support development in the North, facilitation of the phased provision of bulk Infrastructure to support development in the N3 Corridor (Shongweni; Hammarsdale; Cato Ridge), and the promotion of IT connectivity. EThekwini has introduced several programmes to assist in the alleviation of food insecurity. These include the creation of dedicated structures to drive agriculture, aqua and poultry farming; soya bean project, community support farms; community gardens, mushroom vs. hydroponics project, One Home One Garden project, etc. For the past two decades, eThekwini Municipality has supported the business sector through the Durban Business Fair (DBF) which provides an invaluable platform to market products, network and create linkages. The DBF also showcases the opportunities and services available in the municipality to businesses so that are able to access these. The inner city is home to the primary tourism assets of the region and a hub for office and business activity. 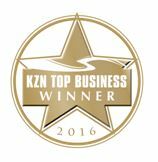 The city is also widely acknowledged as a global player with world-class facilities to host international conferences with Durban hailed as Africa's "Leading Meetings and Conference Destination" at the World Travel Awards Africa 2017. Sporting events such as the Durban July and Comrades Marathon attract millions of domestic tourists annually. As the inner city is still the economic face of the eThekwini region, there is potential to reach critical mass in terms of optimising the mixed-use nature of the area. As such. 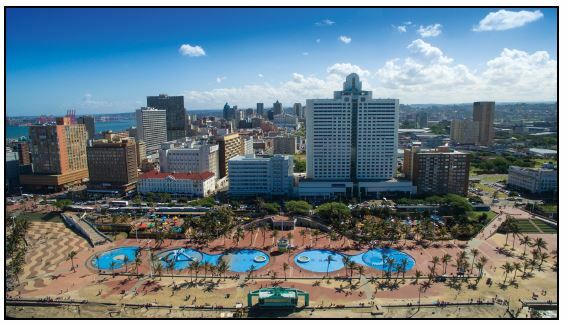 the municipality is committed to the inner city master plan to radically uplift and enhance the CBD of Durban to enhance its global appeal to both tourist and investors. To position Durban as an attractive City to live, work and attract more investment, the sod turning ceremony for the multi-million rand beachfront promenade extension development was recently hosted. The Beachfront promenade extension, which is expected to be complete in June 2019, will unlock phase one of the Point Waterfront that will include hotel, shopping centre, offices and residential. The 20th Mercer's Quality of Living report recently voted Durban the most liveable City in South Africa. The survey by Mercer evaluated the city according to 39 factors across 10 categories, including the political and social environment, the economic environment, public services and transport, housing, education, recreation and the natural environment. This is great news for the eThekwini Municipality which aims to be Africa's most liveable and caring city by the year 2030. Population (estimated): 3 442 398 people (as per 2011 Census). By 2030 the eThekwini Municipality will enjoy the reputation of being Africa's most liveable city, where all citizens live in harmony. This vision will be achieved by growing its economy and meeting people's needs so that all citizens enjoy a high quality of life with equal opportunities, in a city that they are truly proud.